To this end, the following examples of kabbalistic pathworking are being given, as well as possible psychological benefits as well as pathologies which their working (particularly out of sequence) can evoke within the psyche of the operator. While no single path is ever worked exclusively, only realized as such by our outer self (i.e. ego), the effects are seen predominantly when particular paths are undertaken as ritual or esoteric operations. The paths are numbered in a working sequence for a reason, it is best to follow that sequence if disharmony and psychic disruption is to be held to a minimum. Each of use carries within us the seeds for healthy and unhealthy uses of the forces we are made from and contain. When ever we approach a particular sphere or spheres, we also approach their reflection in the qlippoth, as the qlippoth is nothing more than imbalanced force or an excess of a particular virtue, so much that it becomes a vice. Dr. Israel Regardie stated that it is important for the would-be magus to undertake psychological counseling prior to, or as an adjunct with, esoteric training. Unfortunately, this is rarely done, and few psychotherapists are qualified to undertake the dual task of mental health clinician and initiator. The reverse is also true of many would-be initiators and their qualifications, or lack thereof, to be a valuable psychotherapist. A true psycho-therapist, or healer of the soul, is as rare as a genuine psycho-pomp, or guide of the soul. This abyss is made even larger by the failure of esoteric movements to place enough emphasis on personal growth, and the therapeutic community’s failure to even attempt to understand the experiential significance of ritual and the possible legitimacy of esoteric practices. The works of the Italian Renaissance hermeticist Marsilio Ficino are of immense value, in that they bridge the gap between psychology and magic to a great degree. 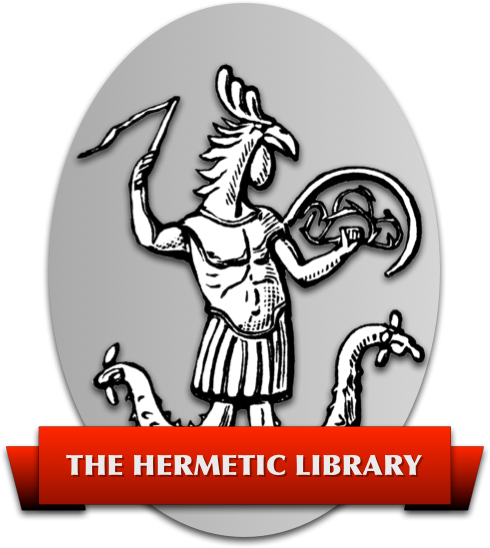 Unfortunately, they can be difficult to obtain, and deal with a style of kabbalah stylistically different from the more famous modern schools, such as the Hermetic Order of the Golden Dawn and its off-shoots. Some of Ficino’s insights will be considered as well. insolent step-child psychology, some inroads have been made to bridge the gap both in terms of technique and theoretical understanding. The most effective to date being Psychosynthesis, as outlined by Roberto Assagioli, Piero Ferrucci, and Jean Hardy. Peter Roche de Coppens, Ph.D. (The Nature and Use of Ritual for Spiritual Attainment, 1985; The Invisible Temple, 1987) has begun an effective synthesis and comparison of the effects of basic kabbalistic work and it relationship to Psychosynthesis, however, a look at the effects of Pathworking as explained in any psychological framework or school appears to be lacking. “I am a child of the earth and of starry heaven, but my race is of heaven.” The Hymns of Orpheus, cont’d. We also posses a field of middle unconscious (traditional subconscious) into which we have our imaginative facilities, memory, and ready access information needed for daily life (Chesed-Yesod). And a middle area of awareness around which all of this stuff revolves, or sense of self the “I”. Outside of it exists the collective unconscious (Binah-Hockmah)of our clan, tribe, nation, world, and all of creation. As the self (created by the world and our response to it) is progressively undone and reconstructed so that it may identify to greater degrees of efficiency with the Self, conflicts arise and are resolved. When Self and self become, even if momentarily a functioning conscious unit, then the opportunity for even greater influx of Light, Life, and Love come through turning our attention to the realms of the superconscious (Keter). This however, would constitute the Work of the Paths above Tiphareth, and the 13th Path in particular, as part of the Middle Pillar exercise. How one makes these attempts at parallels between the Tree of Life and psychological models such as presented by Psychosynthesis is somewhat arbitrary. Exact matches across the board rarely occur. Function is what designates similarity, and function in Kabbalah is often a matter of perspective more than anything else. Several models exist for placing the Worlds on the Tree as well as their psycho-spiritual functions. The models put forth by Z’ev ben Shimon Halevi are quite different from the generally accepted Golden Dawn models of the psyche. However, since it is these models, derived from interpretations of late 19th and early 20th century British occultism that most students are familiar with, it is their designations of the Worlds and Sepherotic function that will be applied. In Hardy’s work, A Psychology with a Soul, these areas of consciousness are examined in light of the traditional hermetic methods and kabbalah. Ferucci in What We May Be takes his mentor, Assigoli’s thesis, and explains consciousness in laymen’s terms, devoting substantial material to the pathologies that can arise in psycho-spiritual work. “Whoever acts like an angel makes a devil of himself” — Pascal. While the four major existential fears of annihilation and death, responsibility and freedom, aloneness, and meaning, (Existential Psychotherapy, Yalom) are the fears most deeply rooted in the ego (Assiah/Malkooth) and can be said to be a result of the transient nature of the Elements from which it is created. These conflicts are not the result of internal instinctual strivings, or of encounters with our internalized images of significant adult authority figures during the infantile stage of our development (as in Freudian work), but with the inescapable givens of our existence in this world (Yalom, p. 8.) The pathological responses to psycho-spiritual work, that is work that seeks to reshape and reform the outer for the exposure and glorification of the Inner, is more deeply rooted in our interior impulse of involution, the very force and cause of our ‘descent’ from potential being into creation so that we might ascend and become an actualized Being. In What We May Be, Ferucci describes seven basic forms of spiritual pathology, or psychological dysfunction which may occur during periods of psychological integration and awakening of consciousness to spiritual realities. While it would be easy to suggest that each of the following forms of dysfunctional response to the awakening process can be assigned to either a planetary or sepherothic function, in truth, they may occur at any time, and more likely have their occurrences during the Paths more than the Spheres. “Give me cold water from the lake of memory.” -Hymns of Orpheus, cont’d. The relationship between esoteric Pathworking and childhood fairy tales is well established. However, in our quest for individuation, self-reliance, and separation from our parents, social rules, and religious-sexual taboos and restrictions, we abandon our childhood means of development for a more active one in the material world of experience. To guide us in picking our experiences, we leave behind our old fairy tales and chose new ones, be they the modern mythologies of Star Wars and Star Trek, or soap operas of a different sort, such the long running shows of Dallas, M.A.S.H., or similar movies or musical themes. While most entertainment offers little genuine entertainment value and is mostly designed for the absorption of our life force and time, all forms of story telling offer a moral lesson and cosmological view whether we recognize it or not. The view of the universe offered in Star Trek is slightly different than Star Wars in that it has yet to answer certain existential questions and address the spiritual question sufficiently. Star Wars on the other hand from the beginning offered us ‘the Force’ and introduced two generations to the ideas of spiritual warriorship, our personal and collective Shadow (Dark Side), redemption, and the unity of creation as an experiential reality, and not just an abstraction of quantum physics. The same is seen, or heard, in the endless tails of suffering, failure, alcoholism, and neediness in country and western music, or the unrequited love in jazz and blues, turning towards drugs and alcohol as a result. Rap and heavy metal offer their own metaphors, cosmologies, and world views as well. In short, all that we watch, listen too, and participate in has the potential be a pathworking on some level. However, what separates such randomness and potentially harmful psychic exchanges, is that kabbalistic Pathworking is organized, progressive, and ultimately transpersonally oriented. The function of these esoteric, or psycho-spiritual exercises, is to make us aware of a broader sense of what we are, and what we may become if we so desire it. They are to assist us in fulfilling the Greek adage, “Know Thyself in order to know the universe and the gods!” In our ‘becoming’ the alchemists claim, we realize that we are in many ways self-created beings. Much of what we do, are, and experience, we are directly or indirectly responsible for, despite our cries to the contrary. We are as the golden adepts say, a ‘son of his works’. Until this century, the most common method of esoteric learning was either through a teacher-student relationship, or affiliation with an esoteric lodge. The principle means of instruction and initiation was often ritualistic, and would involve one or more persons who has experienced the ritual or its equivalent previously. The initiator, and/or initiatic team, would proceed to create a condition wherein the energies of the psyche would be awakened and brought to the surface of consciousness. However, for this to work effectively, it requires that those energies being awakened in the initiate already be alive and well in the psychic body-consciousness of the initator. This is a critical point, and the failure of this condition being met, is the principle cause for esoteric initiations as a whole being of questionable value. The writings of Von Durckheim combine depth psychology, Christian mysticism, and Zen practices in such a fashion as to allow for the realization of one’s interior life with Christ, a purpose in harmony with both Psychosynthesis, and traditional Western esoteric Pathworking. His writings are a significant contribution to this area, even though they use the language of orthodox Christianity, and are a valuable tool for bridging this gap between psychology, mysticism, and even esotericism. The ‘+’ or ‘-‘ notation after each Path designates that Path as one which ‘returns’ energy to the initiates consciousness (+) on the Path of Return up the Tree of Life, or does not (-). Those Paths which return power, can be seen as more active and energetic in orientation, those which do not, more passive and reflective in design. In reality, each combination of psychological potentialities, or Pathworkings, returns something to the consciousness of the mind traveling them. Returns is not even the proper word, for such qualities have always existed in the soul, but only in potential. It is through the experiences of life incarnate, and the desire, the need, to make sense of it through psycho-spiritual philosophies, techniques, and initiations, that it becomes a reality, or actualized in our consciousness. This designates the psychological, the mystical, the genuine transpersonal aspect of growth from the purely sensational. The experiences undertaken by students of kabbalah, alchemy, or Psychosynthesis, are progressive. That is they build on the previous experiences and have a direction or purpose. They are interior states, in that they are wholly personal, even if experienced in a group or in the presence of others. They may match the descriptions given by others in traditional writings, but are the ‘property’ of the one who experiences them. They are an internal response to the pleadings of the self for expansion and integration. They cannot be experienced for another, nor given to another, except by highly integrated individuals known as adepts. Even then, the gift is just the psychic equivalent of a ‘jump start’ as one does to a dead or weak automobile battery on a cold day. They are also as the word says, experiences, not thoughts, ideas, conjectures, or philosophical postulations, but experiences often of a profound and energetically charged nature. The lunar world of Yetzirah is the astral world and has three fundamental aspects symbolized by the spheres of Hod (intellectual), Netzach (emotional), and psychic/imaginative (Yesod). When they are combined as an effective unit, the initiate can think, feel, intuit, and create on the astral level. This level or world can then be experienced in depth on several more levels symbolized by the remaining planets or spheres. When the initiate tires of this world, or receives an impulse to proceed, a greater degree of Solar forces will be felt. These impulses are from the mental world of Briah, and provide the impetus for the initiate to cross the threshold to higher realms of purer awareness. When this World of Briah, the Solar world as it is called because it is dominated, or all things in it are perceived through the intuitive powers of the Sun (Tiphareth), the often confusing image dominated realms of Yetzirah fall behind. This does not mean that they are forgotten, or even ignored. Quite the contrary! These foundation experiences are built upon, and even further strengthened by the purer, more direct methods of experience provided by Briah. In the emotion, dream like, image filled world of Yetzirah, the relationship was always one of ‘subject-object’. Similar to our earthly experiences, only with the added advantage or disadvantage of having our thoughts become reality before us. In Briah, the relationship changes to one of pure knowing, without having the often confusing world of symbols get in the way. In Atzilooth, the relationship changes again, to one of pure being. This however, is for the most part, beyond the scope of most practical work. In Pathworking, the Veil of the Second Death, that of the ego and the astral images it has built up, occurs when contacts with the Briah are made, particularly through the 26th, 25th, and 24th Paths. If these Paths are avoided in the crossing, that is, the initiate attempts to go straight up the Pillar of Severity or Mercy first, severe repercussions may occur which will be examined later. These three Paths are called the Veil of the Second Death or the Dark Night of the Soul. They are trying paths, meant to purify us of our mental, emotional, or psychic fears and attachments. While esoteric work is meant to do this all the time, it is through the conscious decision to pursue one or more of these paths that we accept the responsibility of recognizing and purifying what maybe very unpleasant aspects of our personality that we may have felt was previously done away with. These unrefined aspects of our psyche and/or ego (id) act as filters between our awareness and pure experiencing of the Light Within. Thus, each time we make the decision to limit the effects of a vice on our personality, we are in effect, removing one or more of the threads in the web of our mind that prevents a fuller realization of Cosmic Consciousness. Through repetitive Pathworking, in a systematic manner, we remove those threads in an orderly and balanced manner, thereby assisting in a more harmonious series of interior experiences. However, making it easier does not make it easy! An orderly and systematic approach only reduces negative side effects, it doesn’t eliminate them. When a sufficient level of awakening has occurred on the Solar level, or as some say, on the level of the soul, the sign language of the psyche gives way to direct conversation with one’s Self. This Divine Spark, is seen as not existing at the level of Tiphareth, as it belongs to Kether (Crown), but may be talked to openly and directly, or more accurately, at this level, we listen to it more openly and directly. While communication has taken place previously, it is only when we transcend the limitations of our own unconscious prejudices and preferences that we can hear the Voice of God Within. But to get there, a part of us must die. Herein are the three aspects, or Paths, of the Dark Night of the Soul. All of the Paths associated with Tiphareth or our Solar element bring with them on some level the risk of spiritual pride. This is because the solar fire, that is the energy of our core being, as it reflects the Light of our Highest Self, God if you will, empowers all that it touches. Thus, if not sufficiently cleaned out, our intellectual delusions and feelings toward self and the world will be exaggerated in Hod (Mercury). Our passions and creative instincts and impulses, whether they be artistic, sexual, or simply as emotional expression will be exaggerated in Netzach (Venus). In Yesod (Moon), our sense of spiritual communion, purpose, and mission will be empowered or distorted depending on our degree of psychological health. What can make this even more confusing is the lack of adequate language to describe the various states and levels of experience. We talk of one Tree, but Four Worlds, and a Tree within a World, or even sphere. Fortunately, computer programs give us some useful metaphors to help explain the ancient metaphors we are using. Each sphere can be seen as text inside of a greater file. Every time we open one, we have the opportunity in some fashion to open another related to it. Each sphere is like a ‘window’ that when opened, can cause an internal cascade of connections to other related ‘windows’ or files. Only when we have fully explored all of the file (spheres) in a folder (World) are we able to see how it all hooks together. In essence, we create these internal files, folders, windows, so that we can digest the material in small pieces. In reality, we are working on all spheres and paths simultaneously. However, we only become aware of them one at a time. When we have a sufficient level of understanding of all spheres on some level, then we are said to have working knowledge of a World. With each World, this knowledge, via experience, deepens, and so does our degree of initiation. We are also given glimpses of what lies ahead at certain points along the journey. When we experience the harmony of the physical world, we get an impulse to sense what lies beyond it (the psychic, Yetzirah). When we experience the central unity of the emotional-astral world (Yetzirah) we get a glimpse of the awesome guiding intelligence behind it in the World of Briah. When the harmony of this world is experienced, we get a sense of what remains on our journey home. Thus, we can travel each path four times, on the levels of possible experience. It is however, in the world of Yetzirah, that the most important part of our Work is done. It is on the lowest paths, those leading up to Tiphareth on some level, that we need to focus our attention. There we are to go beyond the Veil of the Second Death and be of genuine Service, not just being self-serving under the guise of spirituality. All of the Paths may be experienced on the level of Yetzirah, but not all of them are directly, or principally concerned with it. Those Paths leading to Tipahereth are concerned with the structure and purification of the ego, our sense of self and how we deal with the world. Those Paths leading from Tiphareth in the world of Briah are concerned with our expressing of those values in daily life, and as service and sacrifice. They are more concerned with the experiencing and directing of the energy of the Soul (Superconsciousness). The Paths leading beyond the Abyss, and in the world of Atzilooth are concerned principally with contacting directly the undifferentiated energy of God (Collective Consciousness). This is why work on the lower Paths is so critical. If one jumps to the higher paths, or works them out of order, then they risk triggering impulses within themselves and environment that they will be unprepared for. The energy will not flow smoothly, it will eradicate blocks as it goes, and psychic, physical, or social ills may result from it. Once the energy hits a block, it will flow like water through whatever channel is available, be it a weakness or a strength. As a result of some of these blocks, some seek to avoid the conflicts and sacrifices that occur along the Way of Return. This is most dangerous when the initiate seeks to cheat nature’s demands and climb up the sides of the Tree, that is enter the higher realms of the superconsciousness (Tiphareth) without having made the required sacrifice of the ego’s dominant features. This happens when the Path between Mercury and Mars, or Venus and Jupiter is chosen prematurely. The preference for which Pillar to climb will most likely result in earlier preferences; that is, an opening of Venus without Mercury will lead to a high-strung and irrational approach to one’s endless material and sensual desires, but if Mercury is open, then the probability of them manifesting is likely. Here one uses his or her intellectual powers simply as a means to satisfy his or her earthly desires and lust for power. If Mercury is opened, but Venus isn’t and the energy flows toward Mars out of the ego’s fear of emotional power and need to be reduced in priority for the Solar light to be more pronounced, then neuroses, anxieties, and fear will dominate, as the initiate only has the power of ‘well laid plans’ which never manifest before them. Since their is no real passion, even in the most selfish sense, their is no psychic or creative power present. The problems then presented are simple. The power of the higher sphere must be abandoned and the proper corrections made, or the more highly refined psychic energies unleashed will fall like a weight upon the unrefined and weak psychic structure below, reducing it to rubble. If the energy (under direction of a panicking ego) seeks an escape from this ‘fall’, then it can only increase the complexity of the issues stated by climbing to the top of their respective pillars; follow the course of involution not evolution on their return to Tiphareth; or attempt further premature Path crossings, this time across the Abyss, resulting in possible long term psychological damage. The problem placed by the Abyss, or Daath, is that it represents Knowledge, or a state of Awareness, not accessible to the limitations of the ego. That is, it is access to unrestricted Deity and as such shatters all restrictions. On the descent, the energy coming through Daath begins to form the nucleus of our ego, so on the ascent, this same energy can only undo or de-form, the ego if any is present. Daath is crossed several times, and can even to some degree be seen in our experiences of our unconscious with its psychic, sexual, and repressed drives and inhibitions (Yesod). Here we are taken back by the new world of dreams, fantasy, and psychic reality that awaits us, but must first face the Terror of the Threshold that awaits us. This terror, loss of control, and devastating encounter with genuine reality would only crush the ego we have so carefully built up over the ages and our whole sense of being with it, if we did not first, slowly, layer by layer undo and rebuild ourselves from self to Self. This is not to say that those who have crossed the Abyss in some form do not have egos or a sense of self in the world, but that through training, experience, and Divine Grace, have been able to temporarily set it aside so that they may enter into higher states of awareness. Marsilio Ficino was a fifteenth century priest and physician who’s work, Libri de Vita was first published in 1489, and was subsequently the most popular of all his writings. Like most medical texts of the Middle Ages and the Renaissance, Ficino’s work liberally used astrological symbolism and methods for prescribing cures for various diseases. Just as genetics would be taken for granted in a modern medical text, in Ficino’s period astrology would be as well. What set Ficino apart however, was his suggested use of talismans for the curing of diseases, in particular melancholy, a disease ruled by Saturn, and as such, its bordering on crossing the fine line into magic, in an era where even the accusation of such practices could cost one their reputation or life. Ficino’s natural magic was similar to many of the ideas put forth by psychologists today, only he structured it in the language of the period, and, had genuinely magical (i.e. Neoplatonic/Greco-Egyptian) applications through the use of talismans. In summary, Ficino stated that we are, or become, the images that we surround ourselves with, and that we can ‘draw down the life of the heavens’ through the application of plants, food, scents, colors, and animals that correspond to a particular planet (i.e. quality) which we seek. Ficino prescribed for his clients that they surround themselves with the images of universal harmony, as well as those representing particular virtues. Paintings, murals, mechanical clocks of the solar system, anything which the mind could imagine, was to be put to the use of reminding the observer of the underlying influences it represented. In fact, Ficino and his contemporaries would go so far as to say, not just represented, but incarnated, thus moving Ficino from pure psychology into magic. Crossing this threshold from pure practical psychology into the realms of magic is a critical step, both internally and externally. In doing so, Ficino, or one practicing his ‘prescription for what ails us’, no longer is just a passive participant in creation, but an active agent in its unfoldment. The powers move from being a closed, internal, personal experience, into an interchange with cosmological forces, accessible to all of us. The same theory of association and connecting spiritus was applied to music and song, through singing the invocations of the Orphic Hymns. Most of the images suggested by Ficino are similar to those presented in the Picatrix, and are composed mainly of planetary symbols with the ancient gods in their normal forms. The use of these mundane images, is justified, as working only with the ‘worldly forces’ and not ‘demonic’ or ‘spiritual ones’, and is thus, ‘natural magic’. The principle idea behind Ficino’s psycho-spiritual hermeticism is in the practice of experiencing an imminent deity. By recognizing our psychological tendencies through astrology (or reflection or therapy) we can begin to develop our strengths and minimize our weaknesses. This is done primarily through experiencing those qualities we seek to embody through association. If we surround ourselves with beauty, we become beauty. If we surround ourselves with wisdom, we become wisdom, and so forth. Images are formed in the mind, and as much as possible, created in the material world. Thus, divinity is not limited to abstraction, and flights of fancy, but made incarnate in our daily experiences. In the ritual setting, the decorations of the temple will often be colored, scented, and resounded, with those things most closely associated with the spheres/planets involved in the pathworking. Images both internal and external will be imagined and created to focus the consciousness on the task at hand. Here we see a direct connection between Renaissance magic, modern magical pathworkings, psychology, and initiation. The difference between the alchemical methods of return and kabbalistic methods is more in the technique than the actual effect. Just as an alchemist creates tinctures, medicines, and alchemical products such as oils, or Stones, the kabbalist produces talismans, charged (or ‘loaded’) objects, such as crystals, metals, or fluids. Both are designed to have effects on the psyche of those who use or come into contact with them, and are outer manifestations of the inner development of the one who prepared them. To some degree, much of what has been said about the Paths on the Tree of Life is applicable to those undertaking alchemical Work. Since each sphere has its own equivalent in the metallic and plant kingdoms, and many students of alchemy follow the planetary paths on the Tree when creating tinctures of Stones, the same warnings as well as insights may apply. In alchemical Work, the student first begins with plant materials, and then proceeds through the metallic, and mineral realms. Each of these realms, or Kingdoms, represents a deepening of the previously learned material, through its application on a new level. The effects of a plant medicine may last for only a week or so, but the effects of a metallic medicine of the same planetary correspondence will have a much deeper and more permanent effect. The effects we are talking about of course, are changes, i.e., broader and more comprehensive expansions of consciousness. The effects of these medicines may be most readily seen in the psychic or dream world of those who ingest them. Since the effects of plant medicines are the most transient and gentle to our psychic physiology, they will most likely make themselves known when we are most passive and receptive to their influences, such as periods of rest, meditation, or sleep. The effects of metallic of mineral medicines are more profound, and have a greater potency and chance of breaking through and effecting our daily awareness without our having to be receptive to them. It is for this reason, along with needed safety and procedural conditioning, that we are advised to undertake the Lesser Work of plants before we undertake the Greater Work of the Metallic and Mineral Kingdoms. There is however, a subtle point being made here. The Plant Kingdom for the most part represents our psychic, or Yetziric nature (Lower Astral/Emotional), where as the Metallic Kingdom represents our personal World of Briah (Higher Astral/Mental). In short, jumping into the Metallic Work without plant preparation is the alchemical equivalent of starting kabbalistic Pathworking with all of the Paths above Tiphareth, while having done none of the Paths below it! The Plant Kingdom concerns itself mostly with the areas of the psyche, and material creatures that are most easily effected by the moon. Lunar tides are taken into account when certain forms of ceremonial magic are performed, as well as when plant tinctures are prepared, worked on, and completed. This concern with the subtle effects of lunar forces on the mind, emotions, and fluid nature of the operator and its being transferred to the medicine being prepared, demonstrates this point. While this overlap of kabbalah, The Tree of Life, and alchemy strays from the path set down by Paracelsus, it is one that most modern students of alchemy are familiar with, either through the writings of Frater Albertus, Manfred Junius, the Rose+Croix University Alchemy Classes (AMORC), or the teachings of The Philosophers of Nature (PON). Taking this model a step further, failure in one or more of the procedures of spagery or alchemy signifies an internal ‘gap’ or ‘pathology’ in the psychic body (emotional-mental make up) of the operator. A gap which needs to be identified internally, and repaired, if the process is to succeed in the outer world of creating medicines. The failure to create a medicine designed to heal primarily the psyche of oneself or others signifies that the one creating it has yet to heal that part of themselves. Hence the alchemical maxim, “You cannot make gold unless you have gold”. Here, maybe the biggest risks to the alchemist are rushing in to ‘more advanced Work’ before they are ready; minimizing the importance or effect of plant work; and over materializing the Work. That is, becoming so familiar with the chemical and material aspects of what they are doing, that they are unaware of its psychic equivalent within themselves. That is, if Mercury is the chemical equivalent of alcohol, or even actual Hg, what does that translate into in the psychic realm of the operator? If I am creating the Red Stone, or Philosophic Mercury, what does this mean as far as internal changes within my psyche? If I can only achieve in the outer once I have achieved in the inner, what does this chemical problem translate into as far as my personal maturity and growth goes? While it may appear that the differences between the ceremonial path and the alchemical path are great, in reality they are quite small and suffer from the same strengths and weakness. Both fall under the domain of Hod/Mercury, the area of the mind and intellect, and are susceptible to the same obstacles on the Path. Comte De Gabalis, by the Abbe N. Montfaucon de Villars, published by The Brothers, New York, New York. 1914. Questions we will all be able to answer someday. Mark Stavish, M.A. holds degrees in Theology, and Counseling, and has been studying and practicing esotericism for over twenty years. He is the current Director of ORA, the Occult Research and Application Project of The Philosophers of Nature, and his writings have appeared in numerous occult, New Age, and magical publications. The author welcomes responses, comments, or criticisms, of this articles, as it is a “work in progress”. Personal experiences are most welcome. 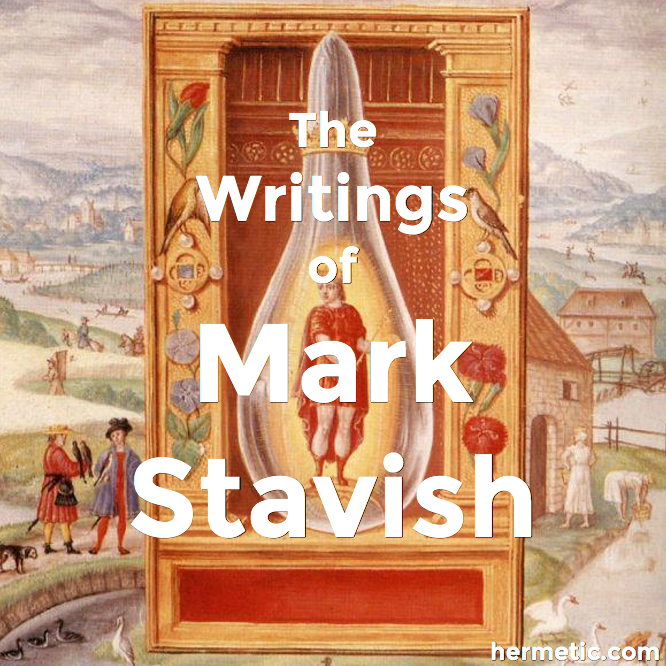 Also individuals who would like to participate in research projects involving alchemical, kabbalistic, or hermetic orientations may contact the author at: Mark Stavish, P.O. Box 2920, Wilkes-Barre, Pennsylvania, 18702. Research results will be published in The Stone, the Journal of The Philosophers of Nature and be made available to all participants.